Our vehicles are supplied with all necessary equipment including pre-clean high pressure jetting equipment necessary in any situation to maintain the high standards of Drainfix. Drainfix clear blockages and pipe-work in drainage runs using the latest high pressure water jetting equipment.Operations are carried out mainly from Van Pack Jetter’s delivering 4000psi (subject to WJ sewer jetting code of practice). Jet Vac Combination Units are the system utilised by our Operatives in procedures which involve clearing larger pipes and emptying septic tanks. Regular maintenance programmes are made available and will be created to meet your individual needs. These have proved particularly useful in more complicated drainage systems of which wear and tear is particularly heavy. A maintenance plan may include time tabled service treatments, annually or throughout the year dependant on size and usage of the system and your requirements. For more information on this or if you have any other questions on other aspects of our service please call to discuss your options. High pressure water jetting is a service that uses a high pressure water jet. A high pressure water blaster is essentially a high pressure water hose that uses extreme pressures starting from 4,000 PSI. These PSI units are typically classified as delivering ultra high pressure. A water jet with this much pressure can be used for a number of tasks. These pressures are designed for unique tasks which can include pipe and drain cleaning, water jetting, precision cutting, external types of cleaning, and surface preparation. What is a Drain Jetting? A high pressure jet is a tool that is used in industrial properties and circumstances. It uses a large stream of water which is pumped to a focused point. This is usually focused on a point inside a pipe or drain to clear a blockage quickly and efficiently with minimal costs and damages to the surrounding area. It is a cost effective and immediate solution for minor problems and blockages. 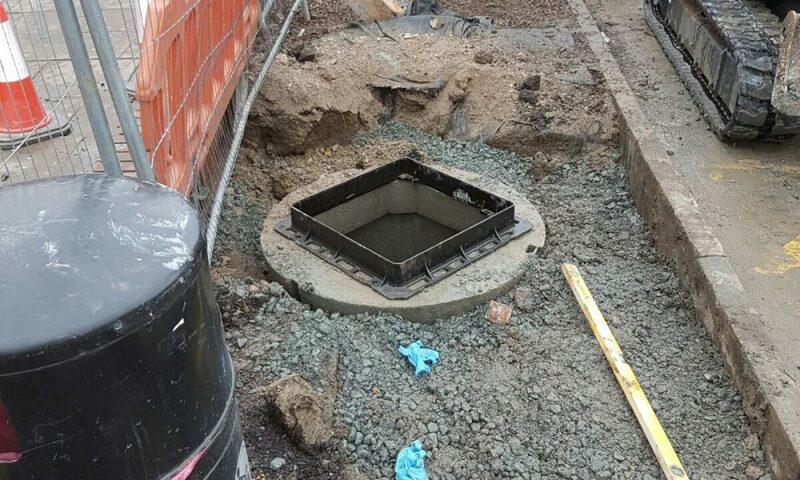 DrainFix Services Limited in Chelmsford, Essex provide a professional high pressure jet service that is used for drain clearing and drain blockages. Our vehicles are supplied with all necessary equipment including pre-clean high pressure jetting equipment necessary in any situation to maintain the high standards of DrainFix Services Limited. DrainFix Services Limited have a team of friendly operatives who are fully trained and qualified to use the high pressure water jets. Our high pressure water jetting service is used to clean and clear drains, sewers and pipes at an affordable price. Our team of effective and reliable drain experts and engineers are happy to help clients in Chelmsford and the surrounding areas. We have had clients in domestic properties as well as industrial and commercial properties in both public and private sectors. Our drainage experts are capable of providing a highly comprehensive task that includes high pressure water jetting for drain or pipe cleaning and unblocking. DrainFix Services Limited drainage experts can clear blockages and pipe-work in drainage runs using the latest high pressure water jetting equipment. Operations are carried out mainly from Van Pack Jetter’s delivering 4000psi (subject to WJ sewer jetting code of practice). Jet Vac Combination Units are the system utilised by our Operatives in procedures which involve clearing larger pipes and emptying septic tanks. Contact our drain professionals at DrainFix Services Limited to get more information on our high pressure water jetting drain cleaning and unblocking service on 01245 268523. We are based in Chelmsford and are happy to serve domestic properties as well as businesses small and large in both the private and public sector.